The City of Chongqing is justifiably proud of their spectacular monorail system. 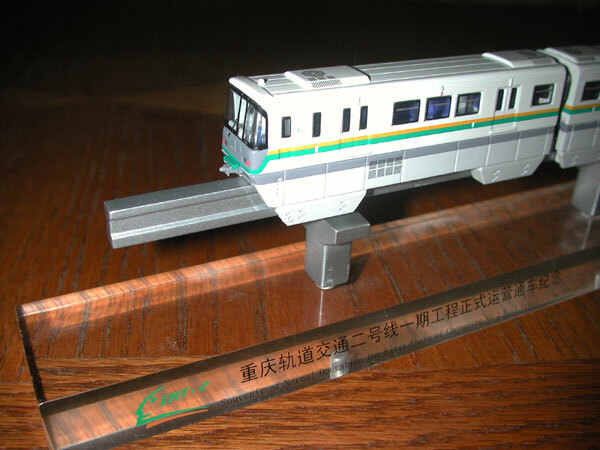 On the occasion of the grand opening, a diecast static display model was released. The display is 20" end-to-end (508 millimeters). On the clear acrylic support base are the words "Souvenir of Normal Operation for First Phase of Chongqing NO. 2 Rail Transit Line Project." 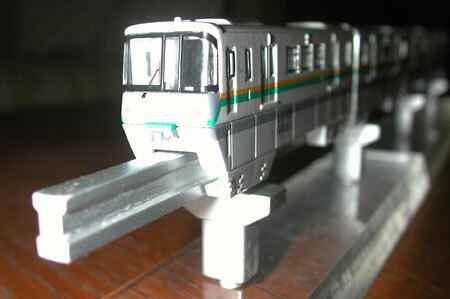 The monorail is quite detailed and includes decals of vents on the skirt sides as well as air conditioning fans on the roof. Note the windshield wiper is included as well. The entire display breaks down into six pieces for easy shipping. 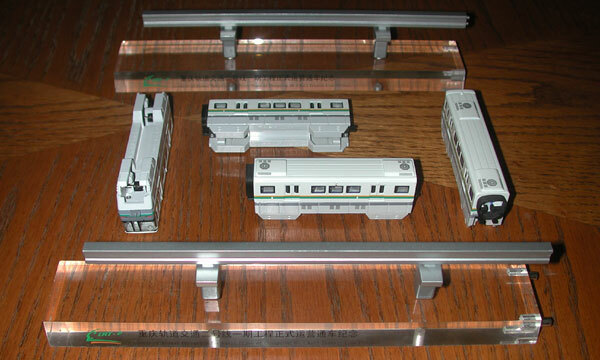 Our sincere thanks to Hitachi Ltd. for donating this display to The Monorail Society!